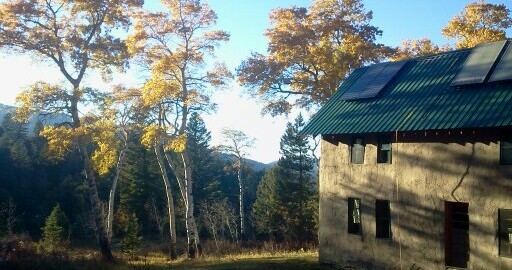 Whenever I get a call from someone who’s thinking about making the switch to off-grid living, there are a number of questions to ask and factors to consider before moving ahead with the project. Designing and building an off-grid system quickly becomes an intimate relationship between the customer and installer. This is because as the installer, I need to understand your energy habits and lifestyle in order to create a system that will work for you and your needs. I lived in an off-grid home for almost 5 years, which means I know first-hand what it takes, and what sort of challenges to expect. Get rid of the electric coffee maker, and buy a french press. Do your laundry and run the vacuum when it’s a nice, sunny day. Be prepared to move with mother nature. If you are in the midst of a beautiful snow storm, kick back and read a book instead of watching a movie. Turn off the DVD player. As stated earlier, there are a number of reasons to go off-grid. For some, it’s because their vacation home is in a remote place where it’s impossible to bring in a power line. And for others, it’s simply about wanting to generate their own electricity, move with moth nature, and live a little simpler. We can design and install an extremely elaborate power system for the user who wants to be able to use a lot of power at any time. And we can also design a smaller system that is more reliant on the weather, meaning you use less power. This is why it’s so important to be upfront with your installer about what your expectations are so that the system can be designed to meet your usage needs. When it comes down to it, any off-grid situation is possible. It just depends on what your goals and budget are. Still have questions? Give us a call today!